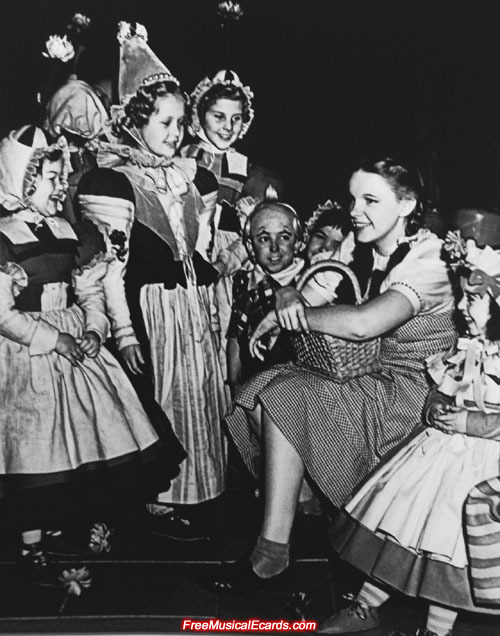 Kansas farm girl, Judy Garland, reading a Life magazine during her break with the Munchkins on the set of The Wizard of Oz. 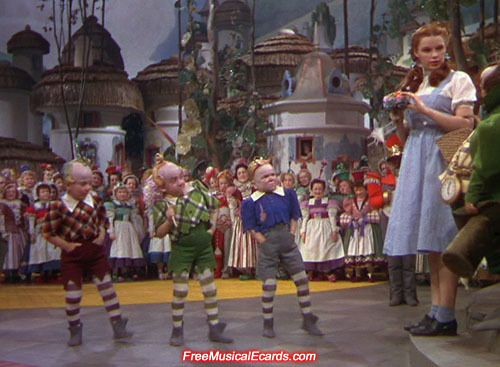 It is no mystery that Judy Garland is the favorite amongst the midgets, or munchkins as they were known in the movie. 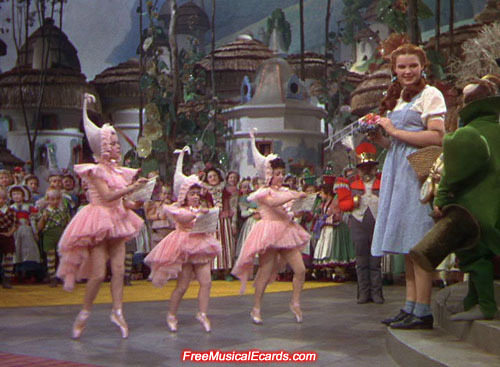 They just couldn't get enough of Judy Garland and enjoyed her company and laughter behind the scenes of The Wizard of Oz. 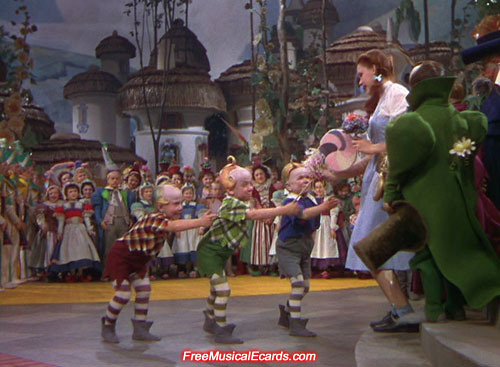 Some of the male midgets even fell in love with her. 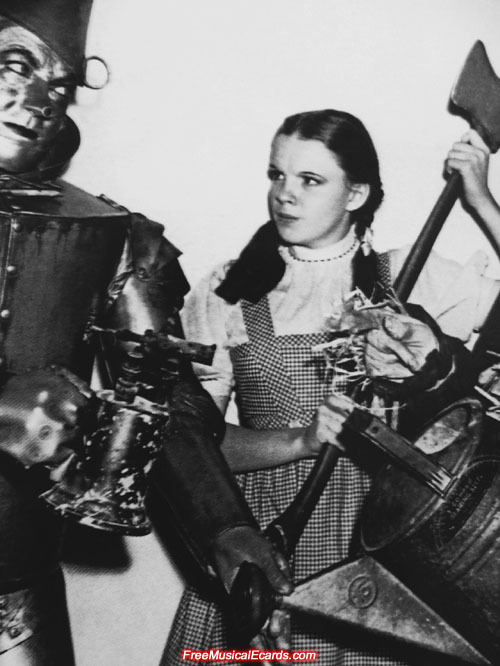 Judy Garland as Dorothy jokes with Jack Haley as the Tin Man with his axe on the set of The Wizard of Oz. 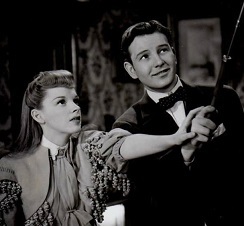 Judy Garland as Dorothy and Bert Lahr who played the Cowardly Lion prepare for another take on the set of The Wizard of Oz. 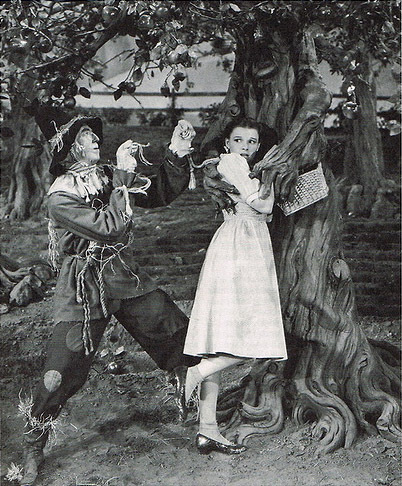 Judy Garland as Dorothy and Ray Bolger as the Scarecrow pose on the Yellow Brick Road for a promotional photo. 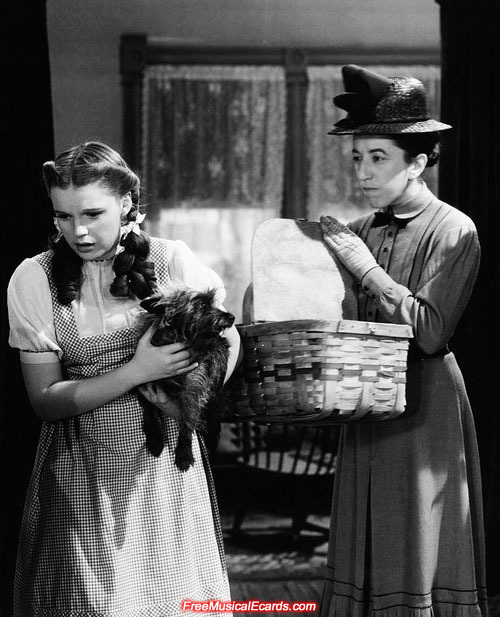 The pretty Judy Garland as Dorothy and Margaret Hamilton who played the horribly mean Miss Gulch together in The Wizard of Oz. The Merv Griffin Show in 1968 was a memorable renunion of the pair. 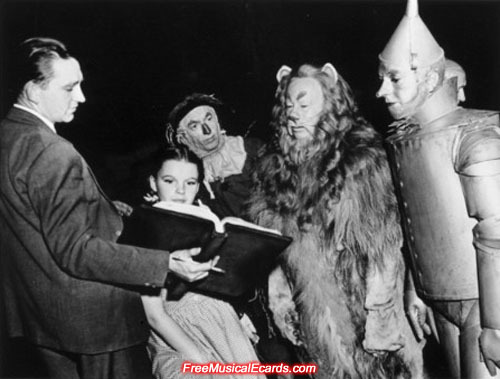 A stagehand works behind the scenes to make sure that everything is in order, while Judy Garland, Ray Bolger and director Victor Fleming looks on. 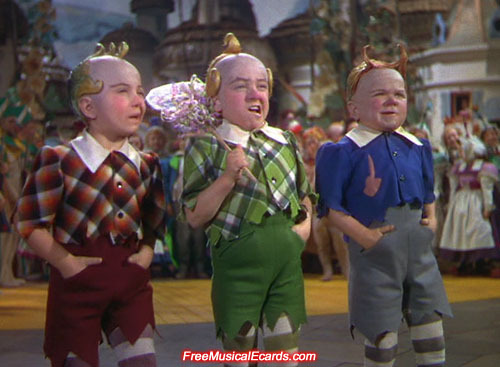 The three dancing munchkins in the movie scared the living daylight of me too . 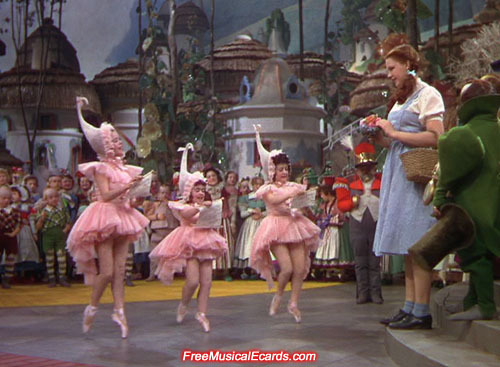 The munchkins were very surreal looking people and their dancing was just too weird for me . Do you mean these guys? They are not scary. They look strange and cute but they certainly didn't frighten me when I was a child. Yep those are munchkins ...well they did frightened me back then. 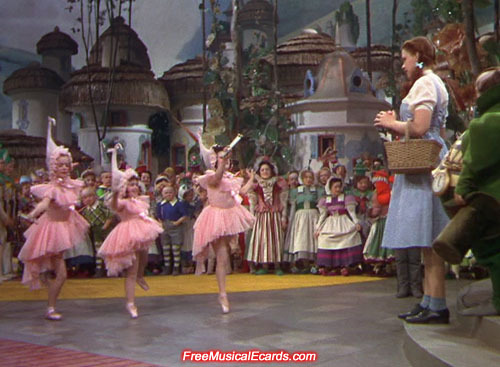 I will always have nightmares from the green witch, the little munchkins and now Barry Hussein La Bamba . 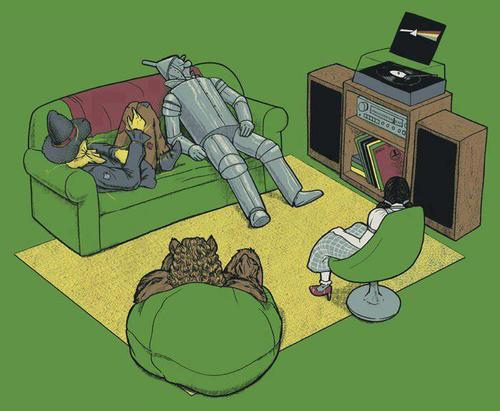 They certainly didn't frighten Dorothy, she has a stronger heart than you. Ok that really hurts now! They ain't nothin' to be afraid of. Have a little courage, that's all. Ok fair enough . Thanks for your wisdom . 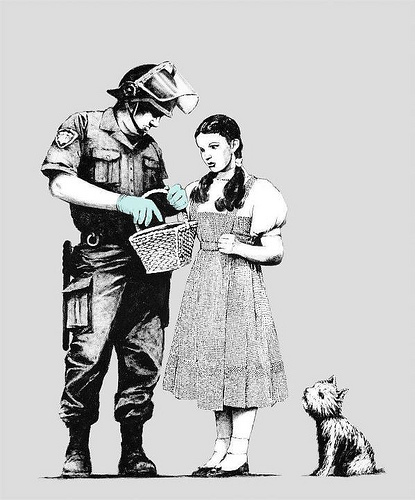 Now I see the Oz movie again . Those damn scary munchkins . 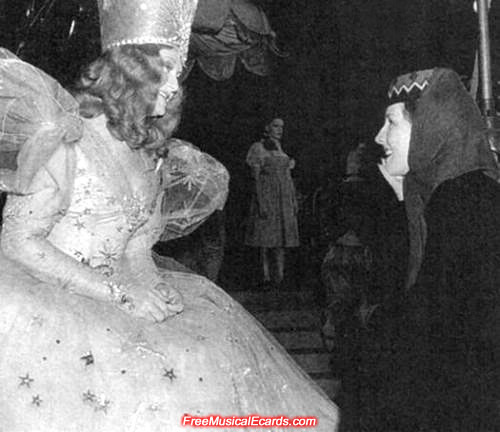 Judy Garland as Dorothy stands in the background on the set of The Wizard of Oz, while Norma Shearer pays Billie Burke a visit. 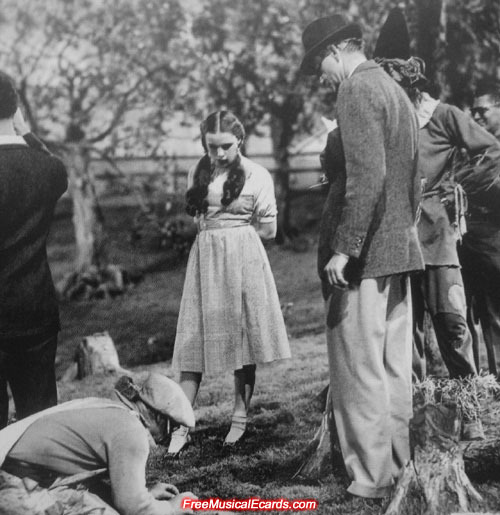 Behind scenes, The Witch's Dorothy brought the wrong items back to Kansas. 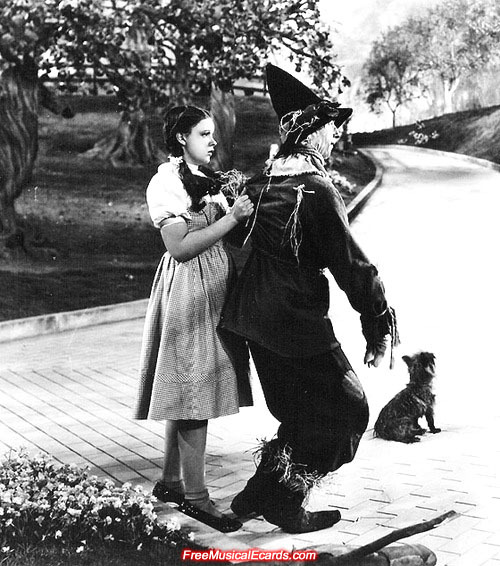 AND The Witch's Dorothy also brought her Company and herself to Modern World. 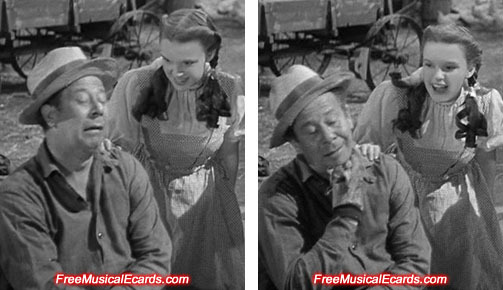 Dorothy seems scared of scarecrow in the below photo. Now the crows would be scared to pieces! 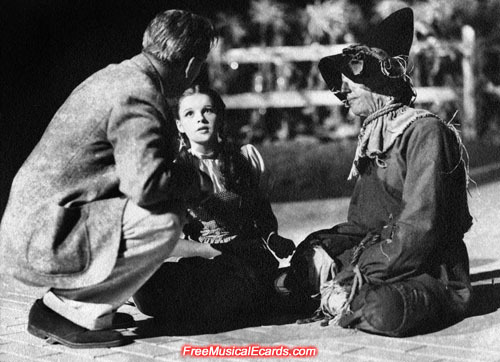 Young and innocent looking Judy Garland as Dorothy with Ray Bolger as the Scarecrow have a little chat with film director Victor Fleming behind the scenes of The Wizard of Oz. 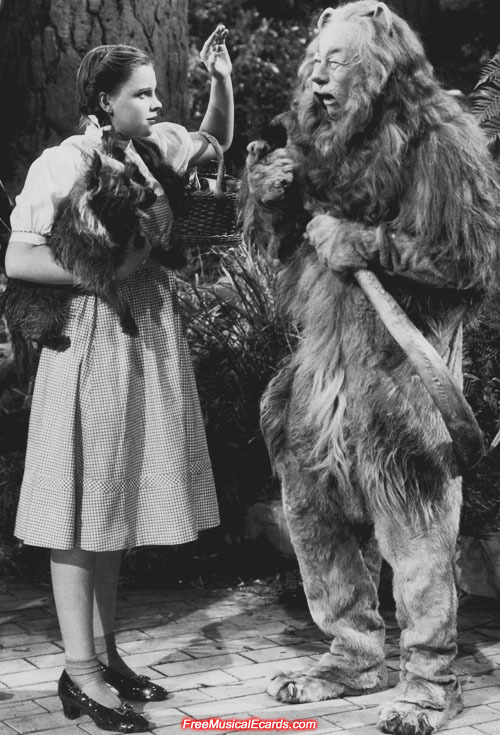 Just found out and wondered where is Dorothy's ruby slippers? It was funny. 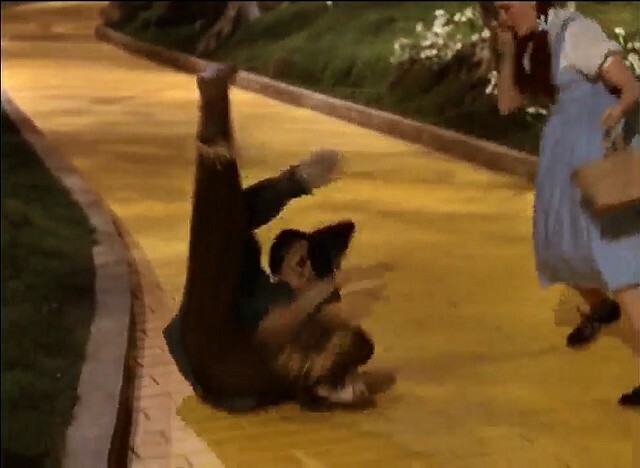 I was just doing an assignment and playing The Wizard of OZ on TV' screen. Whatever it was just playing and I wasn't watching it. Suddenly, spot that shot.